It’s worthwhile to look at some of the philosophical developments of the art academy over the past century, as these point to larger changes in culture and to value systems championed, questioned, made visible or obscured. As Thierry de Duve has noted, there has been a shift of focus in the foundational precepts of what forms and informs art and artists. This shift, he explains, has been from talent to creativity to attitude; from métier to medium to practice; and from imitation to invention to deconstruction. It’s also worthwhile to chart some common terms in the art field that have been repeatedly used but seldom debated in art schools since the start of this century: professional development, research-based practice, project iterations, and aesthetic strategies. In the face of these changing paradigms or in the use of these so-called terms of engagement, what kind of comprehension can be had of contemporary arts education today? 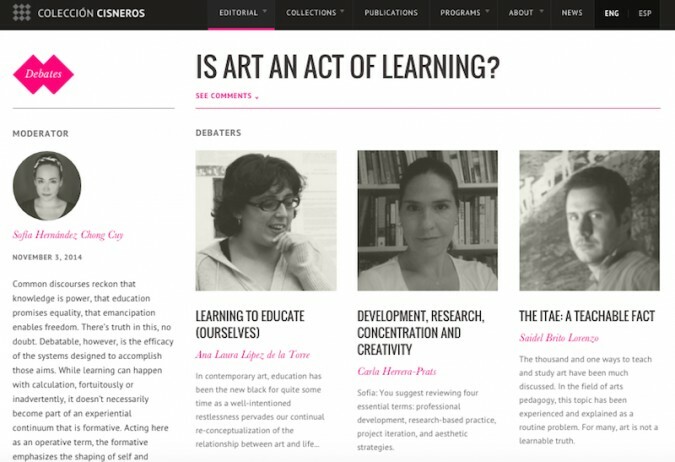 In your experience, what are the forms of learning art, and of learning with art? How and when do you share—which may not necessarily imply didacticism—this learning experience with others? Why is it that you, as an artist, or someone who may not consider herself or himself an artist, can learn with art? By raising these basic questions, the debate intends to open a discussion about the comprehension of art, art making and aesthetic experience, about how these comprise a world. We invite you to respond with ideas or examples grounded in your own formative experiences—as an artist, and also as someone who teaches art—while being responsive to the ways in which art and education have informed your work and shaped value systems in your own context.